Two pilot workshops ran at Birmingham City University to launch Phase 1 of the Open School Doors training framework on 20th and 27th June 2018. Teachers and school leaders from six of pilot schools attended as well as some of student trainee teachers from Birmingham City University and a representative from Birmingham Schools of Sanctuary. The workshops were very productive with lots of discussion generated and constructive feedback given on the online framework. 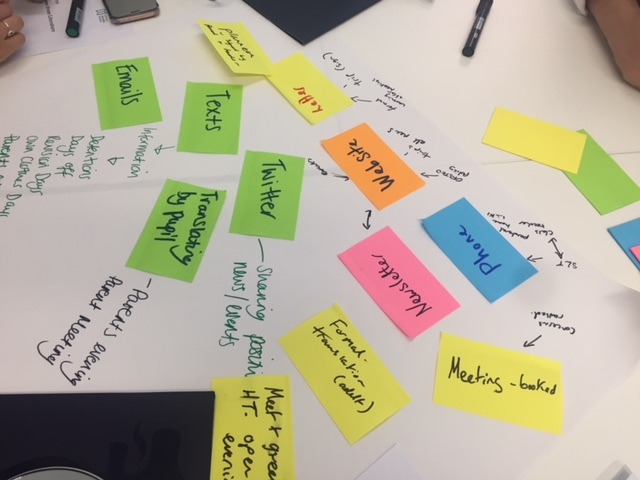 In both workshops groups piloted the ‘Mapping Literacies’ activity in which they presented all of the methods of communication currently used in their schools with parents and discussed areas to prioritise for development. Ideas included developing translation tools on the school websites, increasing use of visual images on social media, and developing opportunities for parents to share their opinions in school communication strategies.